Multicloud is the new normal, connecting your on-premise infrastructure with multiple public clouds is complex. Hear how Cisco is creating a clear, actionable path to cloud success. We will give you a list of essential tools across networking, security, analytics, and management that you need to get you from wherever you are to wherever you want to go in your multicloud journey. We will also address questions you should be asking yourself, as well as a series of steps you can take to chart your route to multicloud. Kubernetes is taking off! It’s being rapidly adopted both on-premises and on AWS, but, you may be finding it difficult to build and manage a production-ready Kubernetes-based environment at scale. The Cisco Hybrid Solution for Kubernetes on AWS makes it easy for you to run production-grade Kubernetes on-premises and on AWS seamlessly by combining Cisco's networking, security, management, and monitoring software with the world-class cloud services of AWS. Want to know who it’s for, what it does, and how it’s different from the previous Cisco CloudCenter products? Then pop in to this 45-minute live webinar featuring Cisco’s own Tuan Nguyen to find out. In addition to the topics listed above, he’ll describe each of the three modules that now make up the CloudCenter Suite, share a few use cases, and provide an overview of the architecture. He’ll also highlight the features that our beta customers have been most excited about, explain the benefits for teams using CloudCenter Suite, and walk you through the new packaging options (spoiler: there are now three different pricing tiers to meet the needs of a much wider range of businesses). When it’s all done, he’ll answer as many questions as he can from everyone in attendance. We started in an automation nightmare, proprietary cloud API's everywhere and awful on-premise user experience; The foundations for hybrid were quicksand! Now, we live in a world of Kubernetes; Consistent APIs for workloads, better solutions for on-premise infrastructure, and service brokers which abstract service management. Better foundations! The building has stopped shaking, build some stairs! Where are we on realizing this hybrid vision? This is one guys take on where we are, based on success and failure moving towards a perfectionist's view of "true hybrid cloud". What works, what doesn't, and lots of "why isn't this a thing yet?". In this ten-minute talk you’ll find out who’s using it, why deployments are projected to grow over the next few years, and whether you ought to be leveraging it in your own IT environment. You’ll also learn what Cisco’s secret sauce is and why it’s critical to building a truly responsive, agile on-premises private cloud. Containers are not a fad. IT Ops teams are adopting Kubernetes to orchestrate containers in production-grade environments -- both on premises and in the cloud. If you are moving to containers and are going to be responsible for Kubernetes in a production, this webcast is a great summary of things you will need to consider. 1 - K8s on premises and the cloud is the same – what’s underneath is not. 2 - Stateful applications rely on persistent storage. 3 - Container networking is different – now IP addresses and ports are ephemeral. 4 – K8s needs to be installed, monitored and maintained. 5 – The monitoring and observability footprint has expanded. 6 – What’s up with all the yaml? Cisco's cloud portfolio that helps you simplify cloud and get the most out of your IT investments. 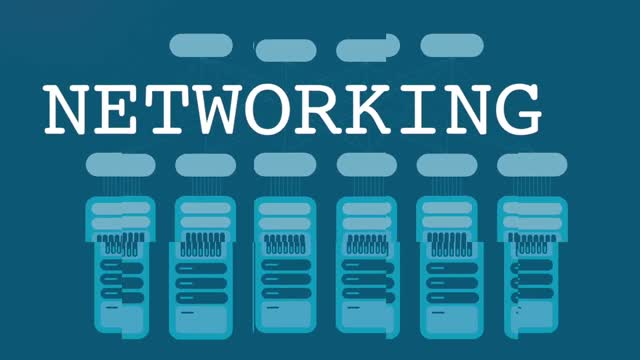 Whether you plan to evolve your data center to build a private cloud, extend your network to the public cloud, add or build new cloud services; Cisco has the products and solutions to make it easier for you to connect, protect, and consume clouds in a multicloud world.